The people of Karnataka will vote in the assembly election on Saturday. 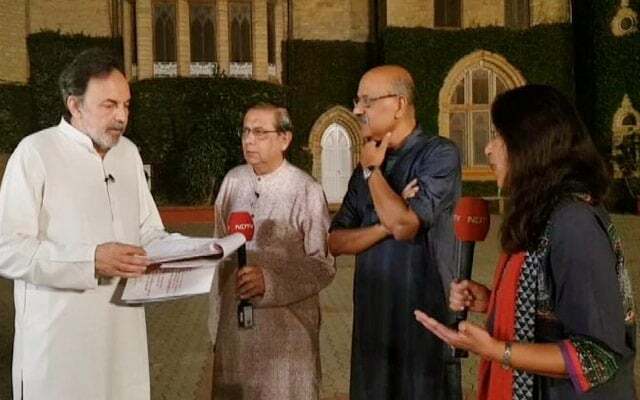 NDTV's Prannoy Roy and team discuss the election and the issues that dominate the political rallies in the southern state, where the Congress is in power led by Chief Minister Siddaramaiah. The BJP has deployed its star campaigners in Karnataka, including Prime Minister Narendra Modi, and run a high-decibel campaign to take the state from the Congress. For the Congress, its president Rahul Gandhi has been campaigning extensively across the state. UPA chairperson Sonia Gandhi also spoke at a rally in Karnataka today, her first election speech after a gap of two years. 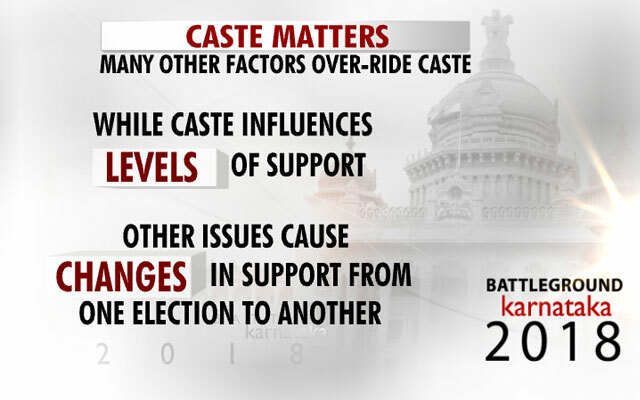 The Karnataka assembly election is going to be a close fight, opinion polls show, with political parties trying to attract the influential castes such as the Lingayats and the Vokkaligas. 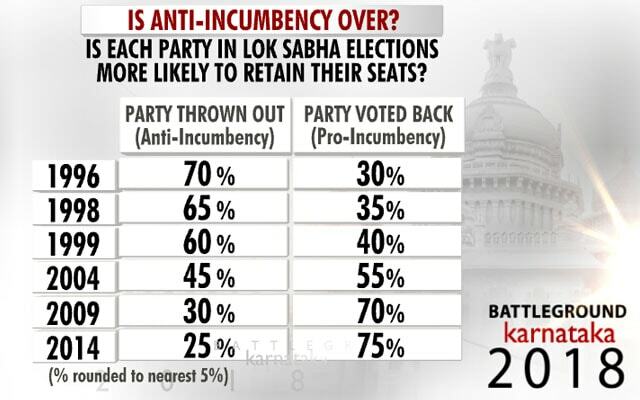 Is the state leaning towards pro-incumbency? 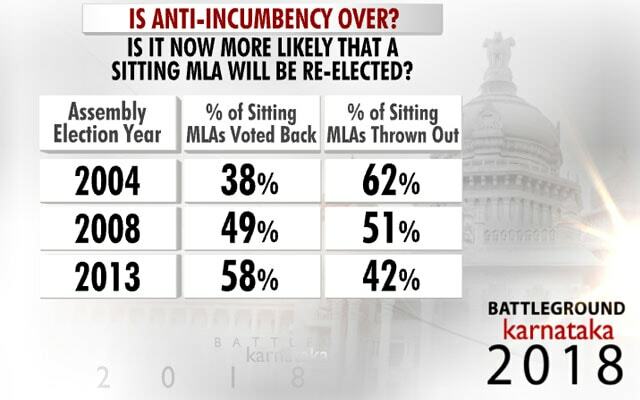 Data suggests sitting MLAs are more likely to be re-elected in the 224-assembly than new MLAs. Dorab Sopariwala: Parties have become more selective in choosing candidates. So they are getting better chances. 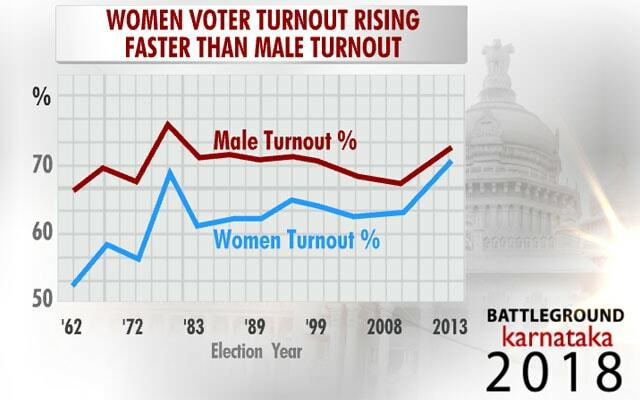 Women voters will be a decisive factor in the state, which votes on May 12. 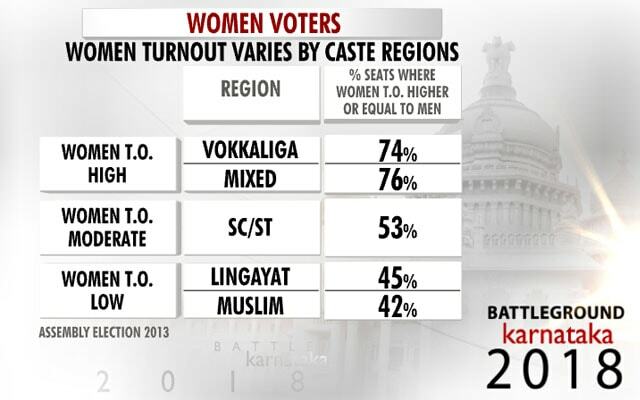 In 2013 assembly election, Vokkaliga caste belt saw the highest turnout of women while Muslim dominated areas clocked the lowest. 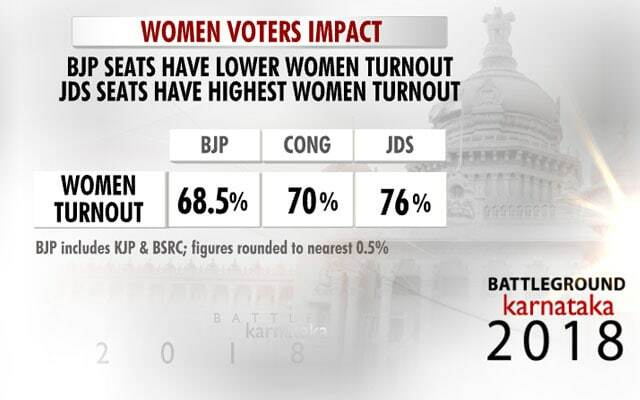 Traditionally, JD(S) seats have seen highest number of women voters followed by Congress and BJP. 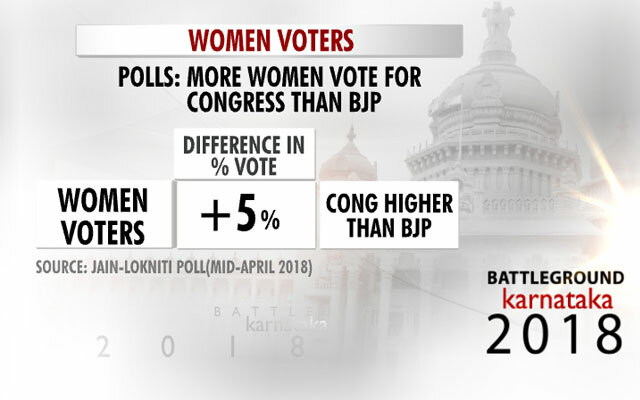 And in terms of party preferences, 5% more women tend to vote in favour of the Congress compared to men voters. Shekhar Gupta: The only time you see women prominently in the campaign is when you look at the JD(S) flag because the woman farmer is their symbol. Maya Sharma: The manifestos of all the parties are out. The focus on women is very much there. They are talking about loans to women. Shekhar Gupta: It's quite striking, the absence of women in the campaign. 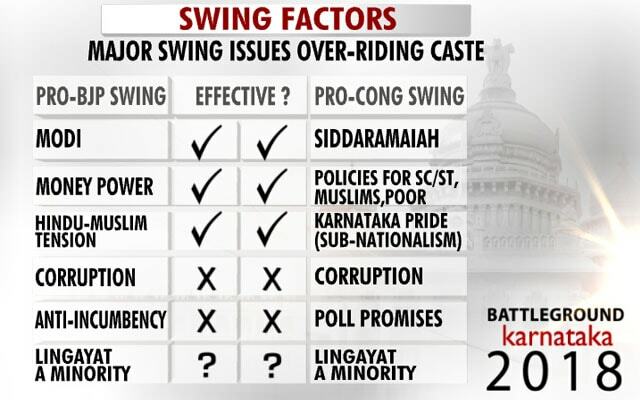 This election is not about "Caste-nataka", other factors are likely to influence swing in votes. The state is known to have a "uniform swing" such that mostly all regions tend to follow a similar pattern against or in support of a party. 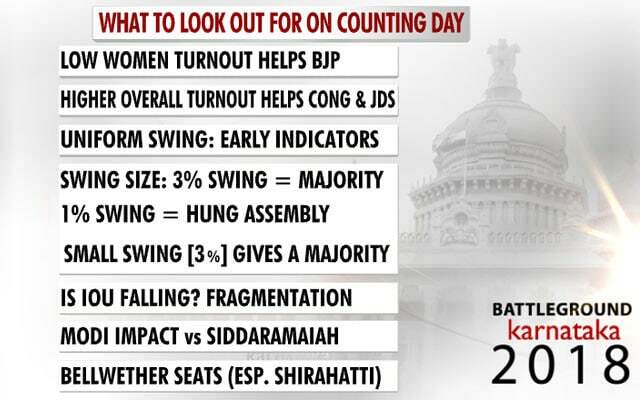 Here are the key factors that are likely to affect Karnataka votes, which will be counted on May 15. 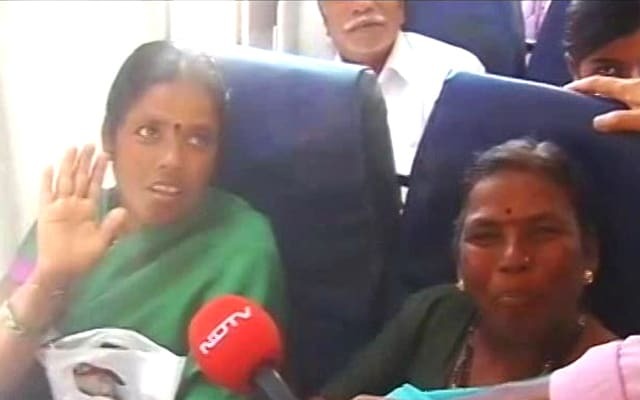 Maya Sharma: In the day-to-day life of the common people, if they are getting rice for Re 1... These schemes are effective. Prannoy Roy: The other area which people tend to focus on is caste. 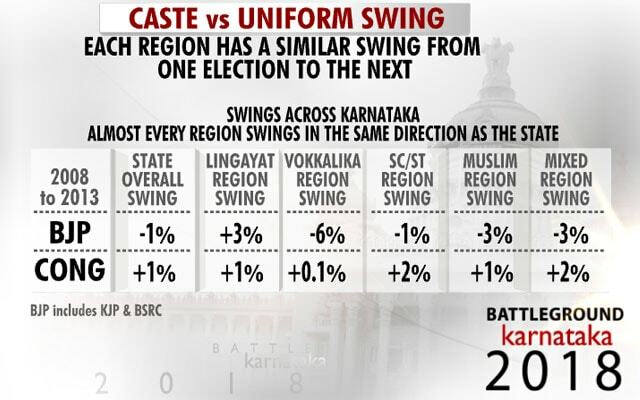 Caste affects the level of your vote, but it will not affect the swing, change. Each region has a similar swing from one election to the next. Maya Sharma: Siddaramaiah has been clever in many ways. 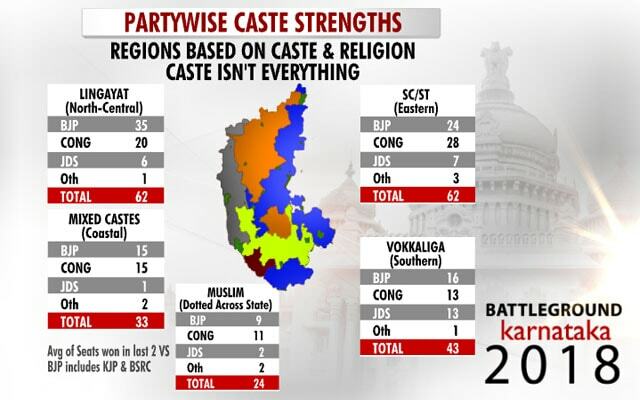 Karnataka feels slightly isolated and he is trying to tap in that factor. Maya Sharma: The Lingayat community is into education in a big way. They run many institutions. If they get minority status, they may get to run those institutions more effectively. 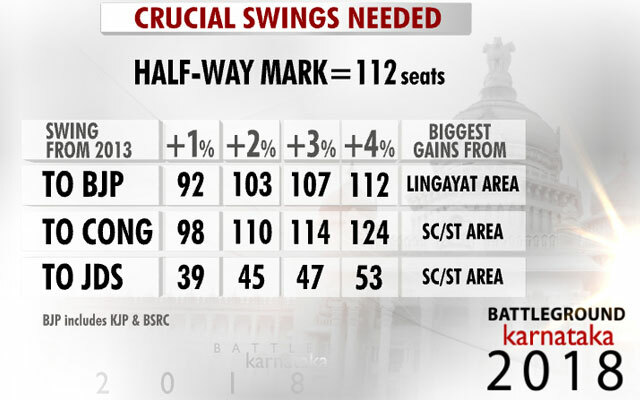 A small swing (2-4 per cent) in the state is likely to cause a huge change in seats and help a party cross the halfway mark of 112. "He (Prime Minister Narendra Modi) is not speaking as the prime minister of the country. 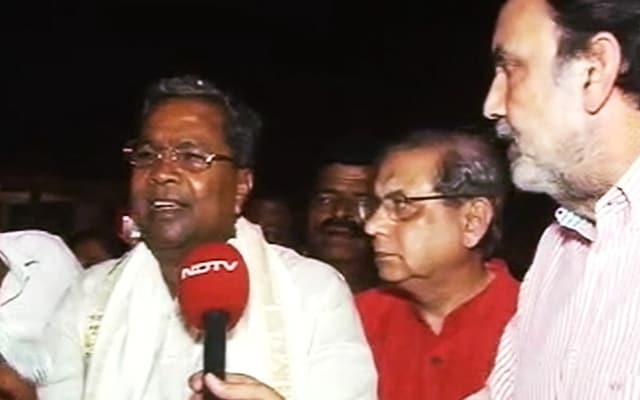 The level that he has stooped to, nobody will appreciate it," Siddaramaiah told NDTV during a rally. On whether the Congress was concerned about the effectiveness of its campaign since it brought in Sonia Gandhi to boost its offensive, the Karnataka Chief Minister said, "The workers of the party here in Karnataka, they wanted Sonia-ji to visit once, one day, she is coming for a day." Prannoy Roy: Who do you see as your main opponent, is it Modi or Yeddyurappa? Siddaramaiah: Yeddyurappa is my main opponent because he has been projected as the next chief minister. Modi is not at all popular in Karnataka. His popularity has declined drastically because he has not done anything. What is his contribution to Karnataka? Even at a time of drought when Karnataka was reeling, he has not done anything. Siddaramaiah: It's (coastal belt) a laboratory for BJP people... Amit Shah's campaign is like a comedy show because nobody is taking it seriously. Modi is not popular, how can Amit Shah be popular here? Maya Sharma: HD Kumaraswamy often talks about the backstabbing by the Congress. Shekhar Gupta: This is an election based on who do you trust the most, on whether Siddaramaiah's performance or Modi's promises. Young people, first-time voters invariably are for Modi in Karnataka. 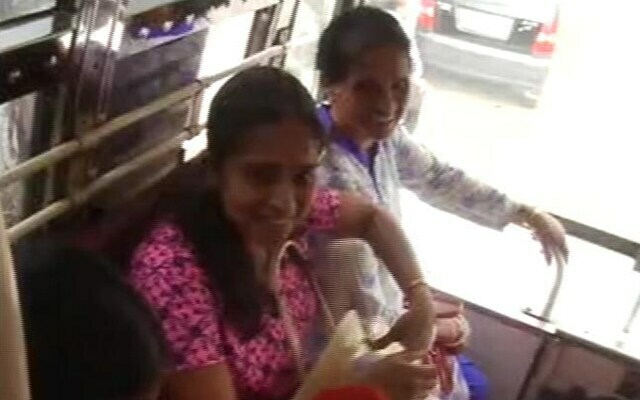 A woman on a bus in coastal Karnataka says BJP will win. Many others in the bus also said the BJP will win. 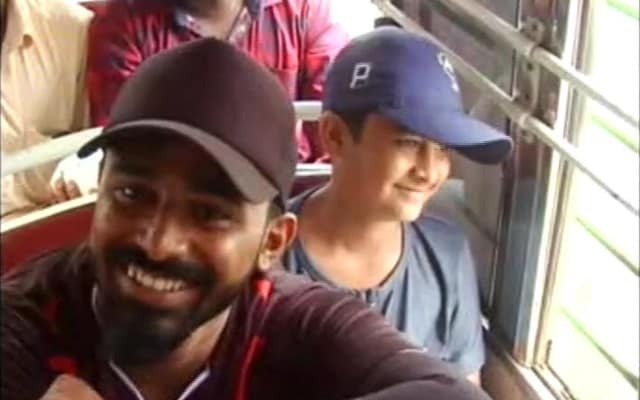 Only one man in the entire bus said "Congress". Several others also said they preferred not to reveal who they think might win. In coastal region, the BJP seems to be sweeping. Some 50-60 kilometres away from the coastal belt, many others in a bus said they think Congress would win. A man said he had voted for the BJP once, but the party has not done any good work in the state. 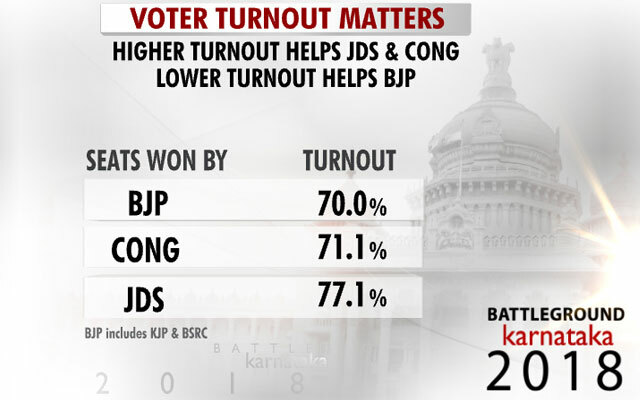 It appears that in the internal southern area of Karnataka, the Congress appears strong but not quite dominant. How fragmented is the Opposition in the state? 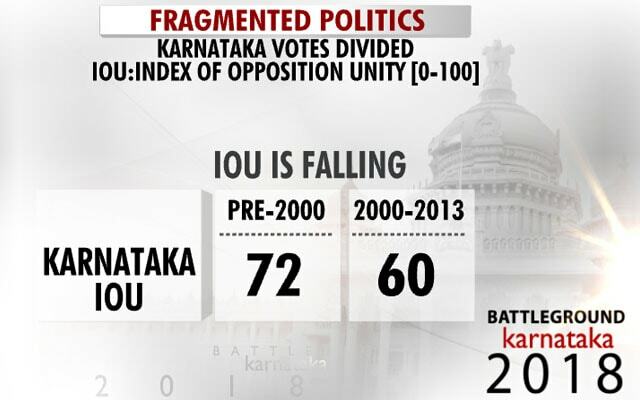 Lower Index Of Opposition Unity (IOU) and swing will hold the key to who wins the state. Prannoy Roy: Karnataka has not been a state with a major Hindu-Muslim divide. Maya Sharma: This is the reality. It has increased the divide in coastal areas. There is an element of fear. 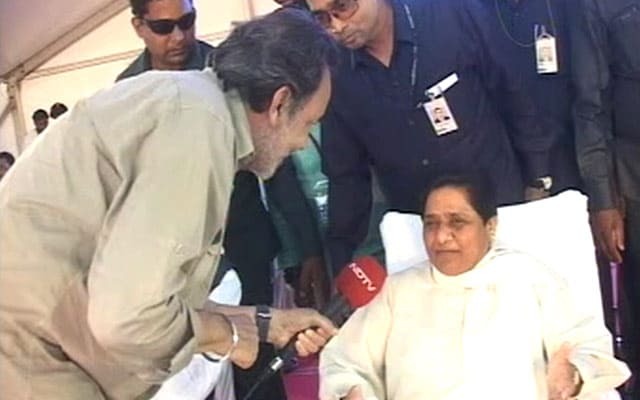 Mayawati: Yes, I feel we are moving forward here too. When the alliance is for assembly election, there will also be an alliance in the Lok Sabha election (with JDS). You know the BJP is frightened when secular forces unite. The BJP and RSS don't like secular forces uniting and moving ahead. BSP (Bahujan Samaj Party) has never been pressured. BSP is never under pressure from any party. There is still time for Lok Sabha elections. HD Kumaraswamy: It's a permanent alliance. 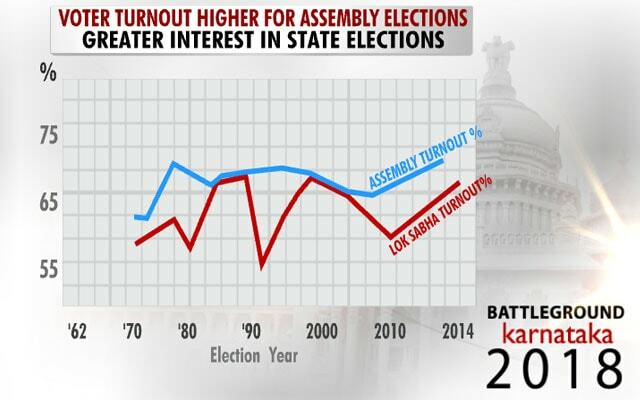 Turnout matters - Traditionally, JDS and Congress have benefited from a higher turnout in this sensitive state.